A fantastic alternative to a cane reed. Great playing characteristics, durable, long lasting, consistent and brilliant for doublers who now do not need to wet the reed before playing. 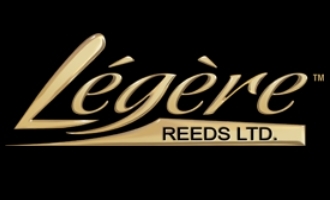 Legere Studio Cut reeds are free blowing, bright and flexible - considered the standard cut for Jazz Saxophonists. The unique patented synthetic material Dr.Guy Legere and his colleague Professor Mark Kortschot have developed has behavioral characteristics very similar to natural cane. It is both light and stiff enough to vibrate at the speed needed to create an immediate vibrant, resonant sound.